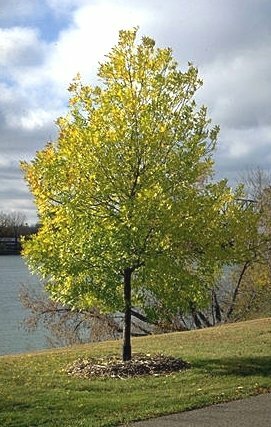 GREEN ASH - a medium to large straight trunked tree reaching 35 to 50 feet in height. Tolerant of wet or dry soil conditions, pH adaptable. Native across the eastern and central United States. Our Western Dakota listing is collected from native stands in western North Dakota for improved drought tolerance.